We offer a personalised course of study to supplement your theological training or the opportunity to get away for a while and do some serious thinking and research. Jesus asked the disciples to “Come aside and rest for a while.” This rest would allow the disciples to digest some of the most wonderful teaching so that it would become part of the way they think. Then, they would be better prepared to serve others in the gospel. In the 21st century, we still need to take time out to get our teaching geared up to the right level. Firstly, through our Individual Study Programmes which are a superb opportunity to tailor a personalised course of study to meet your needs. Students can take modules from any of the ETS departments – Old and New Testament, Systematic Theology, Church History, Apologetics, Practical Theology and the Mission Centre. ETS also makes provision in the Centre for Mission for those who want an opportunity to take time out to think through an issue in which they might have an interest for personal or pastoral reasons.  These Sabbatical Studies are an ideal option for those who would like to undertake short-term, supervised research in a chosen area of interest, or, if you prefer, hands-on training in mission and ministry with the help and guidance of ETS staff. Tailored study to suit your needs.